Only its art and its name. Everything else is unknown! 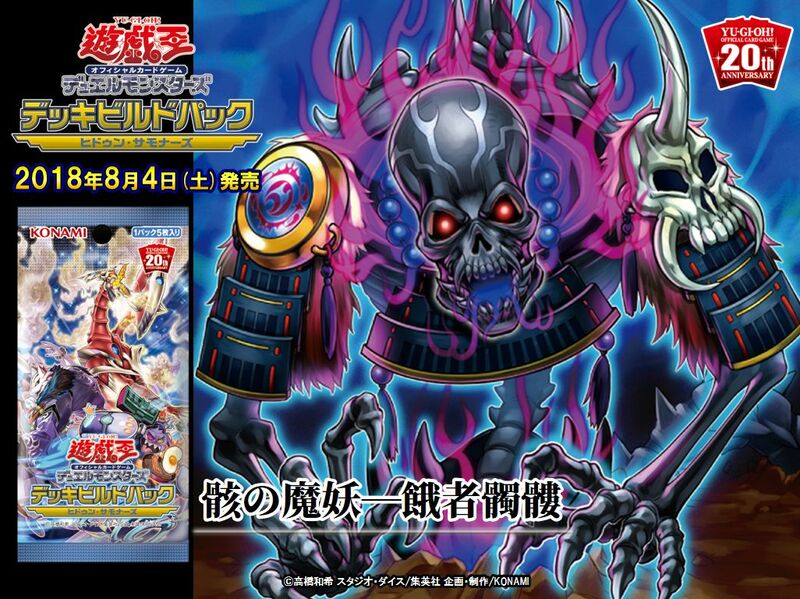 It is unknown whether this is the full Synchro form or the Main Deck form of this monster. For those curious, this monster’s name means literally “Starving Skeleton/Hungry Skull”. It is also one of the largest Yokai in existence, often estimated to be a startling 15 times taller than a human being, and is claimed to be assembled from the bones of humans that died of sickness or in battle, and whose bodies have not been buried or cremated. However, it’s also a Yokai of recent invention, much like the Neko Musume (basically Catgirl), first appearing in books in the 1960s (the first of which was by Saito Morihiro), when efforts were made by various authors and researchers in Japan to collect the rapidly fading folklore, mythology and supernatural stories of Japan.